Nowadays, Bertie Wells is “best remembered” as a science fiction author. Herbert George Wells (1866-1946) was an English writer. He was prolific in many genres, writing dozens of novels, short stories, and works of social commentary, satire, biography, and autobiography, including even two books on war games. He is now best remembered for his science fiction novels and is often called a “father of science fiction”, along with Jules Verne and Hugo Gernsback. The “best remembered” Bertie Wells is almost as benign as the fictional Bertie Wooster. Bertram “Bertie” Wilberforce Wooster is a recurring fictional character in the comedic Jeeves stories created by British author P. G. Wodehouse. During his own lifetime [according to the official narrative] Bertie Wells was a “prophetic social critic” with a “progressive” global vision. During his own lifetime, however, he was most prominent as a forward-looking, even prophetic social critic who devoted his literary talents to the development of a progressive vision on a global scale. A century ago Bertie Wells was also famous for his “futurist” utopian works. A futurist, he wrote a number of utopian works and foresaw the advent of aircraft, tanks, space travel, nuclear weapons, satellite television and something resembling the World Wide Web. During the 1890s Bertie Wells produced pedestrian, non-political non-fiction. Certain Personal Matters is an 1897 collection of essays selected by H. G. Wells from among the many short essays and ephemeral pieces he had written since 1893. The essays in Certain Personal Matters are written from a consistent first-person perspective, but only one (ironically, given the title) describes an identifiable event in Wells’s life —how he responded to being diagnosed with tuberculosis in the fall of 1887. More than half of the essays are humorous social satire; serious subjects are addressed only ironically. Politics, historical and economic topics, and identifiable portraiture are eschewed. But in 1901 the pedestrian persona was jettisoned when the “vigorously promoted” Anticipations “took England by storm” to become a “widely discussed” best-seller. Anticipations of the Reaction of Mechanical and Scientific Progress upon Human Life and Thought, generally known as Anticipations, was written by H.G. Wells at the age of 34. Vigorously promoted, the book and its views were widely discussed. “Every significant thinker [in Great Britain] apparently read and thought about the book,” according to an academic biographer. Apparently, Anticipations was an “experiment in prophecy”. When originally serialised in a magazine it was subtitled, “An Experiment in Prophecy“, and is considered his most explicitly futuristic work. This “experiment in prophecy” contains some “phenomenal” successes like the European Union. averred that “my imagination refuses to see any sort of submarine doing anything but suffocate its crew and founder at sea”). The success of this 1901 best-seller that “took England by storm” is particularly remarkable because it marks the “lowest point” in the career of Bertie Wells as a “social thinker”. The social thinking of Bertie embraced “euthanasia of the weak and sensual”. All our philanthropists, all our religious teachers, seem to be in a sort of informal conspiracy to preserve an atmosphere of mystical ignorance about these matters, which, in view of the irresistible nature of the sexual impulse, results in a swelling tide of miserable little lives. Consider what it will mean to have perhaps half the population of the world, in every generation, restrained from or tempted to evade reproduction! This thing, this euthanasia of the weak and sensual, is possible. The social thinking of Bertie embraced “good, scientifically caused pain”. If deterrent punishments are used at all in the code of the future, the deterrent will neither be death, nor mutilation of the body, nor mutilation of the life by imprisonment, nor any horrible things like that, but good, scientifically caused pain, that will leave nothing but a memory. The social thinking of Bertie Wells promoted the establishment of an undemocratic “new order” through the “concussions of war”. But as some super-saturated solution will crystallize out with the mere shaking of its beaker, so must the new order of men come into visibly organized existence through the concussions of war. The charlatans can escape everything except war, but to the cant and violence of nationality, to the sustaining force of international hostility, they are ruthlessly compelled to cling, and what is now their chief support must become at last their destruction. And so it is, I infer, that, whether violently as a revolution or quietly and slowly, this gray confusion that is democracy must pass away inevitably by its own inherent conditions, as the twilight passes, as the embryonic confusion of the cocoon creature passes, into the higher stage, into the higher organism, the world-state of the coming years. Overall, the social thinking of Bertie Wells envisaged an “educated” elite that would extinguish the “incompetent rich” while it “picks over, educates, sterilizes, exports, or poisons” the “people of the abyss”. the nation, in a word, that turns the greatest proportion of its irresponsible adiposity into social muscle, will certainly be the nation that will be the most powerful in warfare as in peace, will certainly be the ascendant or dominant nation before the year 2000. The distinctly dubious Bertie Wells gained additional establishment approbation in 1902 when his Royal Institution “philosophical lecture” was published in Nature. The Discovery of the Future is a 1902 philosophical lecture by H. G. Wells that argues for the knowability of the future. It was originally delivered to the Royal Institution on January 24, 1902. Before appearing in book form, it was published by Richard Gregory in Nature on February 6, 1902, and was also published as part of the Annual Report of the Smithsonian Institution. The official narrative states Bertie Wells was transformed during 1902 into the “great” H G Wells who joined the “literary and intellectual elite of London” whilst living in Folkestone. According to Graham Wallas, Wells’s delivery of his lecture was too rapid, but it was well received and contributed to the rapid integration of the 35-year-old Wells into the literary and intellectual elite of London in 1902. … The Discovery of the Future, established him as “a great man,” according to one biographer, and as a result he was soon sought out by many leading figures of the day. Spade House was the home of the science fiction writer H. G. Wells from 1901 to 1909. It is a large mansion overlooking Sandgate, near Folkestone, in southeast England. In 1905 the social thinking of Bertie Wells returned in a post-modern utopian novel. The world shares the same language, coinage, customs, and laws, and freedom of movement is general. The true objection to slavery is not that it is unjust to the inferior but that it corrupts the superior. There is only one sane and logical thing to be done with a really inferior race, and that is to exterminate it. Now there are various ways of exterminating a race, and most of them are cruel. or you can maintain such conditions as conduce to “race suicide,” as the British administration does in Fiji. Is there, however, an all-round inferior race in the world ? Even the Australian black-fellow is, perhaps, not quite so entirely eligible for extinction as a good, wholesome, horse-racing, sheep-farming Australian white may think. These queer little races, the black fellows, the Pigmies, the Bushmen, may have their little gifts, a greater keenness, a greater fineness of this sense or that, a quaintness of the imagination or what not, that may serve as their little unique addition to the totality of our Utopian civilisation. Its publication coincided with the official start of the Scientific Century. Mathematise, Monetise and [later] Militarise. The official narrative acknowledges Bertie’s “postmodern utopia” was partly inspired by a “prominent member of the Fabian Society”. The work was partly inspired by a trip to the Alps Wells made with his friend Graham Wallas, a prominent member of the Fabian Society. This is no surprise because Bertie Wells was a socialist who belonged to the Fabian Society. Wells called his political views socialist. The Fabian Society was founded by a group of young idealists in the late 19th century. For example, H. G. Wells was 27 when he joined the Committee as was George Bernard Shaw. The Young Fabian Group for members of the Fabian society 30 years of age or younger was officially convened in May 1960 at a meeting organised by Fabian Society assistant General Secretary, Richard Leonard. The Group’s quarterly magazine Anticipations, named after the title of an essay by H. G. Wells, was founded in 1996. It seems likely Bertie Wells was influenced by the “gradualist” Fabian Strategy. The Fabian Society was founded on 4 January 1884 in London as an offshoot of a society founded a year earlier called The Fellowship of the New Life. The Fabian strategy is a military strategy where pitched battles and frontal assaults are avoided in favor of wearing down an opponent through a war of attrition and indirection. While avoiding decisive battles, the side employing this strategy harasses its enemy through skirmishes to cause attrition, disrupt supply and affect morale. 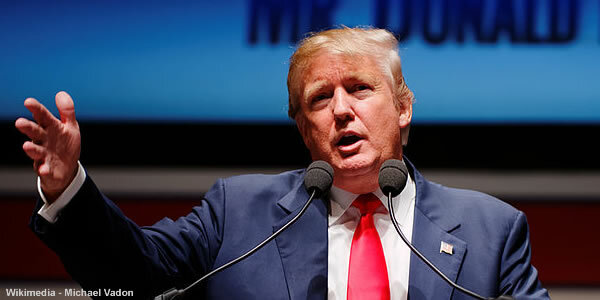 This strategy derives its name from Quintus Fabius Maximus Verrucosus, the dictator of the Roman Republic given the task of defeating the great Carthaginian general Hannibal in southern Italy during the Second Punic War (218–202 BC). Arguably, the illustrious Bertie Wells saw himself as a noble Samurai ushering in a world state. A Modern Utopia is a 1905 novel by H. G. Wells. The novel is best known for its notion that a voluntary order of nobility known as the Samurai could effectively rule a “kinetic and not static” world state so as to solve “the problem of combining progress with political stability”. The Bertie Wells narrative takes a peculiar turn in 1910 when he claims “I have never ceased to be a Liberal” after he failed “to Liberalise the Fabian Society”. In May 1910, H.G. Wells contributed a letter to the first issue of the official journal of the National League of Young Liberals. ‘I am known as a Socialist, but I have never ceased to be a Liberal – which is not exactly the same thing as a member of the Liberal party. ‘I tried to Liberalise the Fabian Society – ah well! Wells was for a time a member of the socialist Fabian Society, but broke with them as his creative political imagination, matching the originality shown in his fiction, outran theirs. He later grew staunchly critical of them as having a poor understanding of economics and educational reform. The official narrative suggests the leopard changed its spots. The more likely narrative is that Bertie became a radical wolf in sheep’s clothing. He supported Wells’ campaign for a more radical Fabian agenda in 1906, but by the end of the year he had come to find Wells too erratic. In December 1906, he and other members of the inner circle defeated H. G. Wells’s “attempt to take over and change the Fabian Society”. The influence of the Webbs on the Fabian Society and its policies were attacked by H.G. Wells. For a time he joined the Society but was critical of its cautious approach: “They permeate English society with their reputed Socialism about as much as a mouse may be said to permeate a cat”. This might explain why the man who “never ceased to be a Liberal” became a Labour candidate. He ran as a Labour Party candidate for London University in the 1922 and 1923 general elections after the death of his friend W. H. R. Rivers, but at that point his faith in the party was weak or uncertain. The international adventures of Bertie the Flipping Fabian were only just beginning. Wells visited Russia three times: 1914, 1920 and 1934. During his second visit, he saw his old friend Maxim Gorky and with Gorky’s help, met Vladimir Lenin. On 23 July 1934, after visiting U.S. President Franklin D. Roosevelt, Wells went to the Soviet Union and interviewed Joseph Stalin for three hours for the New Statesman magazine, which was extremely rare at that time. e.g. superior Martians, invisible Men, Roman dictators, and noble Samurai. e.g., time machine, scientifically caused pain, liberation from labour, and invisible men. e.g. sexual freedom, expropriation, degeneration, undermine and mock. e.g. euthanasia, extinguishing, poisoning, concussions of war, and War of the Worlds. e.g. World State, New Republic, new order of men, and New World Order. See: Footnotes The Early Novels of Bertie Wells. Nowadays, the death and destruction advocated by H G Wells is frequently overlooked because the Orwellian New World Order will bring war peace, end peace war, demolish unite nations, and destroy protect the rights of man. The New World Order is a book written by H. G. Wells, originally published in January 1940. Wells expressed the idea that a ‘new world order’ should be formed to unite the nations of the world in order to bring peace and end war. The New World Order also advocates a legal system that would protect the Rights of Man. Researching the life and times of Herbert George Wells is a disorienting experience. The researcher begins with the great man. They progress to the portrait of a flawed great man. Finally they arrive at the shocking truth of Bertie Wells and his social thinking. Overall, the evidence suggests Bertie the Flipping Fabian believed the ends justify the means and that he would willingly turn his hand in any direction provided the utopian wrecking ball keeps swinging to clear the way for the New World Order. The disorientation is compounded by the tangled narrative that suggests researchers and court historians are battling for control of the Bertie Wells narrative. The charmed career of Bertie Wells [and the presence of court historian] suggests H G Wells became a British propaganda project in 1894. Statistically, there is a 50-50 chance the original Bertie Wells died of tuberculosis before 1894. The essays in Certain Personal Matters are written from a consistent first-person perspective, but only one (ironically, given the title) describes an identifiable event in Wells‘s life – how he responded to being diagnosed with tuberculosis in the fall of 1887. Tuberculosis caused widespread public concern in the 19th and early 20th centuries as the disease became common among the urban poor. In 1815, one in four deaths in England was due to “consumption”. By 1918, one in six deaths in France was still caused by TB. After TB was determined to be contagious, in the 1880s, it was put on a notifiable disease list in Britain; campaigns were started to stop people from spitting in public places, and the infected poor were “encouraged” to enter sanatoria that resembled prisons (the sanatoria for the middle and upper classes offered excellent care and constant medical attention). Whatever the benefits of the “fresh air” and labor in the sanatoria, even under the best conditions, 50% of those who entered died within five years (c. 1916). Furthermore, it seems unlikely Bertie Wells would have embraced “euthanasia of the weak” [as occurred, for example, in Nazi occupied Poland] after developing tuberculosis in 1887. During the Nazi occupation of Poland, SS-Obergruppenführer Wilhelm Koppe organized the execution of more than 30,000 Polish patients suffering from tuberculosis – little knowing or caring that a cure was nearly at hand. But the narrative of Bertie Wells dips but doesn’t end prematurely in a sick-bed in 1894. The H G Wells storyline becomes a heaving hot-bed of intrigue in 1894. The Fabian Society was founded by a group of young idealists in the late 19th century. For example, H. G. Wells was 27 when he joined the Committee as was George Bernard Shaw. In 1891, Wells married his cousin Isabel Mary Wells. The couple agreed to separate in 1894 when he fell in love with one of his students, Amy Catherine Robbins (later known as Jane), with whom he moved to Woking, Surrey in May 1895. 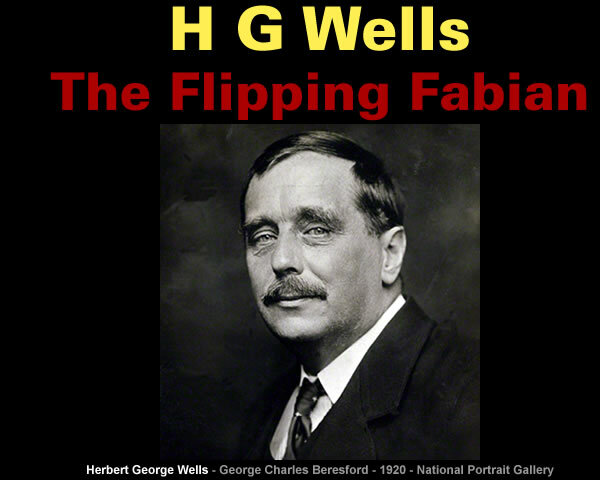 H. G. Wells (1866–1946) was a friend and they had a brief affair which led to a pregnancy and then miscarriage, in 1907. Reeves was anxious not to break up Wells’s marriage, though she wanted to have his child. The news that she was pregnant in the spring of 1909 shocked the Reeves family, and the couple fled to Le Touquet-Paris-Plage where they attempted domestic life together. From 1910 until 1913, she was a mistress of the novelist H.G. Wells. The two writers became lovers in late 1913. Their 10-year affair produced a son… their friendship lasted until Wells’s death in 1946.
suspected double agent of OGPU and British Intelligence Service. Odette Zoé Keun… was a Dutch adventurer, journalist and writer, who traveled extensively in the Caucasus and the early Soviet Union. Between 1924 and 1933 Keun was the partner of H.G. Wells, with whom she lived in Lou Pidou, a house they built together in Grasse, France. If H G Wells became a British propaganda project in 1894 then his correct “predictions” indicate which British projects were successfully completed. Furthermore, if H G Wells produced British propaganda then his “vigorously promoted” social thinking sheds a some light upon British policies at the start of the 20th century. H G Wells acknowledged the genocidal policies of the British Empire. “race suicide,” as the British administration does in Fiji. H G Wells promoted domestic policies that included culling the “people of the abyss”. … will certainly be the nation that will be the most powerful in warfare as in peace, will certainly be the ascendant or dominant nation before the year 2000. These policies may explain why Britain purposely prolonged the First World War. Truth is that Germany had sought a just peace many times since December 1914. The Allies simply did not want to know in 1915, 1916 and 1917. In fact, they did not want to know in 1918. There is ample evidence that preparations for war on the Western Front in 1919 and 1920 was discussed and anticipated by the British War Cabinet. The United Kingdom introduced conscription to full-time military service for the first time in January 1916 (the eighteenth month of World War I) and abolished it in 1920. And they may explain why H G Wells and his social thinking began to travel. The “concussions of war” promoted by H G Wells and, more specifically, the First World War significantly reduced population growth in the United Kingdom during the 20th century. The “concussions of war” also had dramatic psychological and social consequences. The First World World eroded belief in the “sanctity of life” and undermined religion in Britain. “Hell on earth” was how Albert Evans from Briton Ferry summed up his experiences of the First World War in a BBC interview in the 1970s. The phrase sanctity of life refers to the idea that human life is sacred, holy, and precious, argued mainly by the pro-life side in political and moral debates over such controversial issues as abortion, contraception, euthanasia, embryonic stem-cell research, and the “right to die” in the United States, Canada, United Kingdom and other English-speaking countries. Although the phrase was used primarily in the 19th century in Protestant discourse, after World War II the phrase has been used in Catholic moral theology and, following Roe v. Wade, Evangelical Christian moral rhetoric. In 2011 the United Kingdom population growth trend returned to a trajectory last seen in 1911 and it is possible some elements of the social thinking detailed by H G Wells lingers on. Within the first seven weeks of 2018, some 93 990 people died in England and Wales. Over the same weeks in the previous five years, an average of 83 615 people died. This rise of 12.4%, or 10 375 additional deaths, was not due to the ageing of the population. Elements of the social thinking detailed by H G Wells lingers on in Europe. sovereign nation states must not listen to the will of their citizens when it comes to questions of immigration, borders, or even sovereignty. Arguably, the “progressive” global vision articulated by H G Wells is currently polarising politics in America and energising political dissent across Europe. The movement fits a worldwide pattern of populist revolt against politics-as-usual, but with a very French accent. However, it seems unlikely any of our current crop of world leaders are genuine Ascetic Utopian Samurai even though some of them do enjoy rambling in the wilderness. The narrator’s double describes the ascetic Rule by which the samurai live: it includes a ban on alcohol and drugs, and a mandatory annual one-week solitary ramble in the wilderness. Why is Hillary Clinton hiking so much? Only time will tell when the next swing of the utopian wrecking ball will be unleashed. Enjoy your freedoms by interpreting the works of H G Wells as you see fit. Elements of his central themes are found in the early novels attributed to Bertie Wells. The Time Machine is a science fiction novella by H. G. Wells, published in 1895 and written as a frame narrative. The story reflects Wells’s own socialist political views, his view on life and abundance, and the contemporary angst about industrial relations. It is also influenced by Ray Lankester’s theories about social degeneration and shares many elements with Edward Bulwer-Lytton’s novel Vril, the Power of the Coming Race (1871). Based on Wells’ personal experiences and childhood, the working class literally spent a lot of their time underground. His own family would spend most of their time in a dark basement kitchen when not being occupied in their father’s shop. Later, his own mother would work as a housekeeper in a house with underground tunnels, where the staff and servants lived in underground quarters. A medical journal published in 1905 would focus on these living quarters for servants in poorly ventilated dark basements. In his early teens, Wells became a draper’s apprentice, having to work in a basement for hours on end. This work is an early example of the Dying Earth subgenre. The portion of the novella that sees the Time Traveller in a distant future where the sun is huge and red also places The Time Machine within the realm of eschatology, i.e. the study of the end times, the end of the world, and the ultimate destiny of humankind. 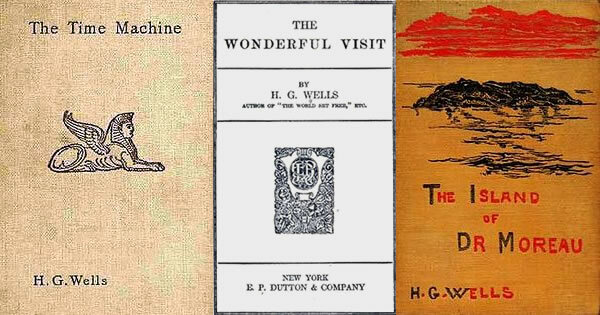 The Wonderful Visit is an 1895 novel by H. G. Wells. With an angel – a creature of fantasy unlike a religious angel – as protagonist and taking place in contemporary England, the book could be classified as contemporary fantasy, although the genre was not recognised in Wells’s time. The Wonderful Visit also has strong satirical themes, gently mocking customs and institutions of Victorian England as well as idealistic rebellion itself. The Island of Doctor Moreau is an 1896 science fiction novel by English author H. G. Wells. The text of the novel is the narration of Edward Prendick, a shipwrecked man rescued by a passing boat who is left on the island home of Doctor Moreau, a mad scientist who creates human-like hybrid beings from animals via vivisection. The novel deals with a number of philosophical themes, including pain and cruelty, moral responsibility, human identity, and human interference with nature. The Island of Doctor Moreau is a classic of early science fiction and remains one of Wells’ best-known books. The novel is the earliest depiction of the science fiction motif “uplift” in which a more advanced race intervenes in the evolution of an animal species to bring the latter to a higher level of intelligence. The Wheels of Chance is an early comic novel by H. G. Wells about an August 1895 cycling holiday, somewhat in the style of Three Men in a Boat. The advent of the bicycle stirred sudden and profound changes in the social life of England. Even the working class could travel substantial distances, quickly and cheaply, and the very idea of travelling for pleasure became a possibility for thousands of people for the first time. This new freedom affected many. It began to weaken the rigid English class structure and it gave an especially powerful boost to the existing movement toward female emancipation. Wells explored these social changes in his story. The Invisible Man is a science fiction novel by H. G. Wells. Originally serialized in Pearson’s Weekly in 1897, it was published as a novel the same year. Children’s literature was a prominent genre in the 1890s. Sutherland identifies The Invisible Man as one such book. Another influence on The Invisible Man was Plato’s Republic, a book which had a significant effect on Wells when he read it as an adolescent. The Ring of Gyges is a mythical magical artifact mentioned by the philosopher Plato in Book 2 of his Republic (2:359a–2:360d). It grants its owner the power to become invisible at will. Through the story of the ring, Republic considers whether an intelligent person would be just if they did not have to fear any bad reputation if they committed injustices. The War of the Worlds is a science fiction novel by English author H. G. Wells, first serialised in 1897 by Pearson’s Magazine in the UK and by Cosmopolitan magazine in the US. The novel’s first appearance in hardcover was in 1898 from publisher William Heinemann of London. The novel has been variously interpreted as a commentary on evolutionary theory, British imperialism, and generally Victorian superstitions, fears and prejudices. The scientific fascinations of the novel are established in the opening chapter where the narrator views Mars through a telescope, and Wells offers the image of the superior Martians having observed human affairs, as though watching tiny organisms through a microscope. Gallery | This entry was posted in Books, Economics, History. Bookmark the permalink. The LSE was invented, allowing banks and the money power to become intoxicated and throttle themselves on debt. All that paper wealth, yet how to extract it from a broken banking system? Fiat will go to nil…. traces of money making means taxes will wipe out what insolvency does not. Those with excess land will soon find it bearing realistic taxes. The Wizard of Oz is finally understood? Let us hope the next catastrophe, literally falling star, is not too bad? Good ol’ Bertie is smiling down on us! Modern wars could be very damaging. Best to stop that sport and business asap?